Kicking off with a vigorous, vital rendition of Jerry Reed's "Guitar Man" -- a song Elvis loved so much he had to record it, publishing deals be damned -- Clambake initially seems to deliver a definitive break from Presley's soundtrack doldrums, but that's only because "Guitar Man" has nothing to do with Clambake, the film. The good news is, "Guitar Man" is nevertheless a harbinger for a good portion of the rest of the album, which was recorded once Elvis reached a breaking point with the nonsense he had to record for his films. "Guitar Man" is the flashiest tune of these, but he also revives two old Eddy Arnold tunes -- "You Don't Know Me" and "Just Call Me Lonesome" -- sinking his teeth into the well-constructed songs, and he fuses Jerry Reed's fingerpicking with the big-band-swing of Charlie Rich on a dynamite "Big Boss Man," a song that points toward his 1968 comeback. (He also acquits himself well on the ballad "Singing Tree.") This isn't enough to make Clambake a great album, but it does place it on the level of something like Spinout, where the non-movie tracks elevate the soundtrack cuts. 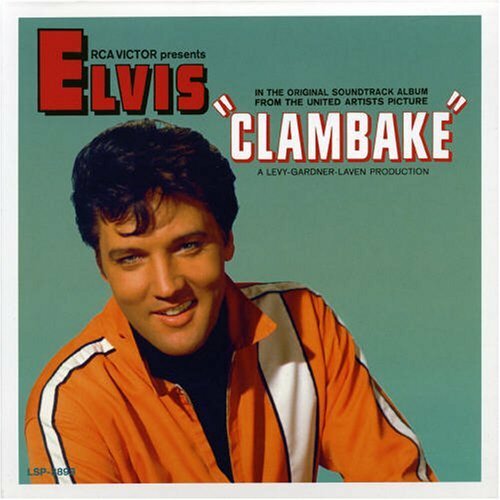 Unfortunately, the movie songs from Clambake lack the snap and swing of Spinout. 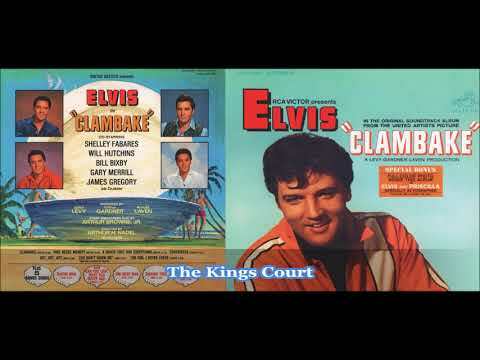 Several of these are merely bland or cloying, but "Who Needs Money" -- a hammy duet with baritone actor Will Hutchins -- and the dreadful "High Hopes" rewrite "Confidence," are bottom-of-the barrel sludge, among the worst dreck Elvis ever recorded.